I know what day it is. This past Sunday I was recovering from the last night of my daughters’ dance recital and getting ready to go camping later that day for three days. 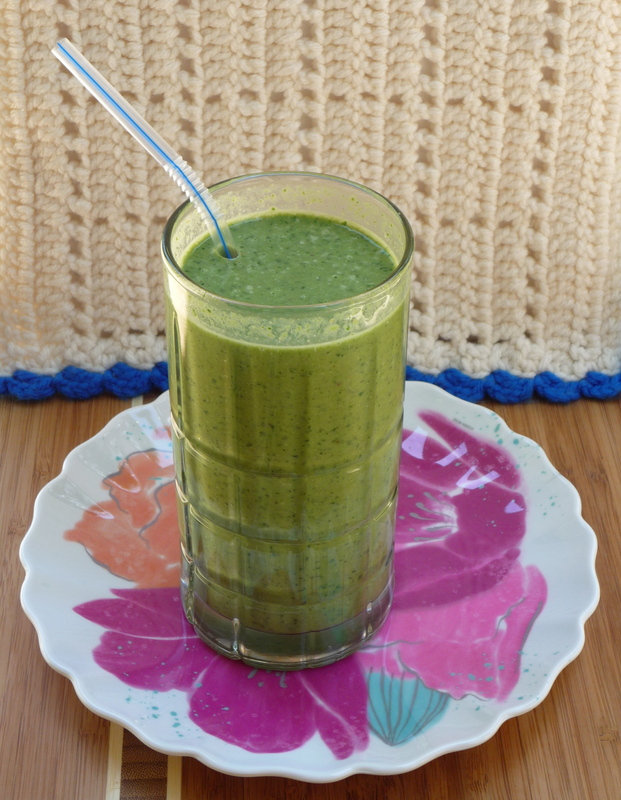 So unfortunately for me there was not much time for smoothie making or blog posting. I know for some this post might not be for you. Fortunately for me, I know that green things can taste good. This tastes frickin awesome! I finished this (really big) smoothie a lot quicker than I thought I would. I was drinking it while I was taking pictures. 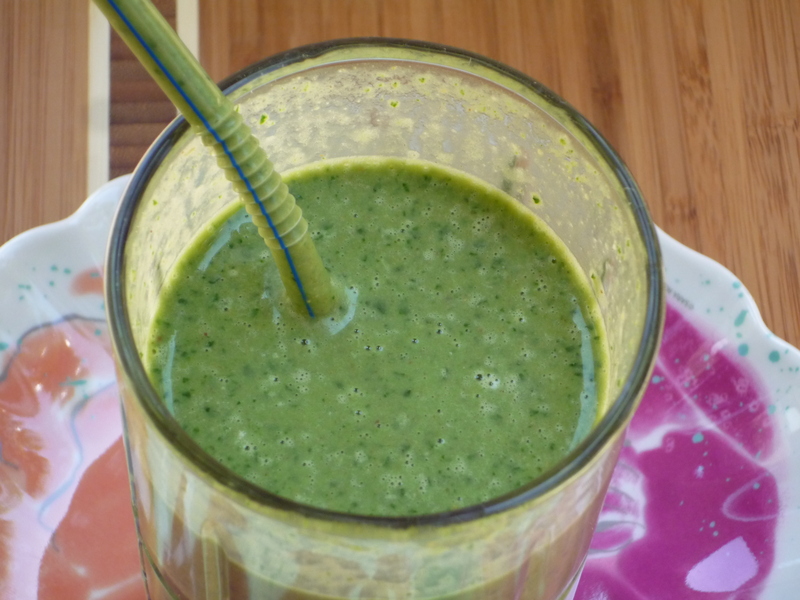 You can taste the “green” to a certain degree but after a few sips it feels like you are cheating and just having a peanut butter banana smoothie. Getting ready to chop the kale. I am not sure how much banana I used because I just had a bag of cut up banana in the freezer and I used about half of that so I am assuming that was about one. I did use a bit more peanut butter but it was really just a smidge. I think I could use a bit less honey but I really just eyeballed everything except the kale and the spinach. I also used less milk because I used the rest of my almond milk and I had to use cow’s milk for the rest. I think it all turned out great! I really want to make this again. It really filled me up as well. 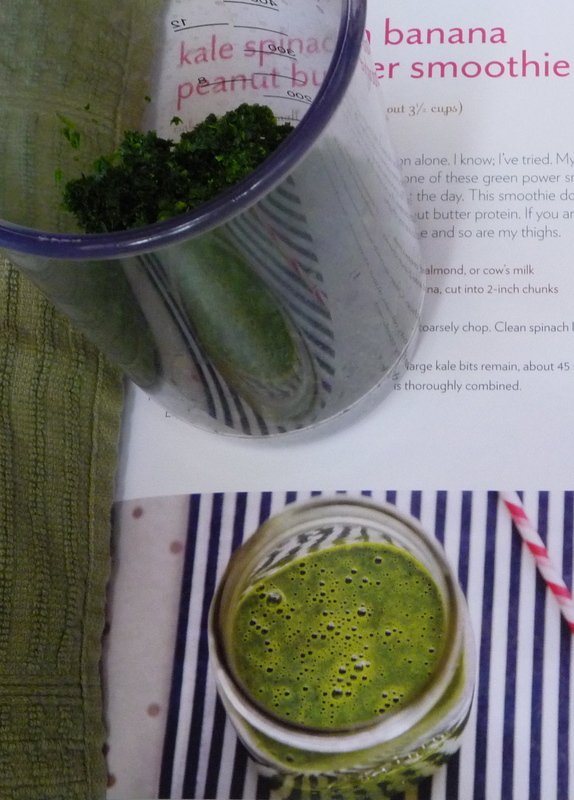 My chopped kale and Joy’s smoothie. Also, I didn’t use a blender. I have one but I HATE getting it out. I HATE cleaning it. And I just don’t think mine works very well, so I just didn’t use it. 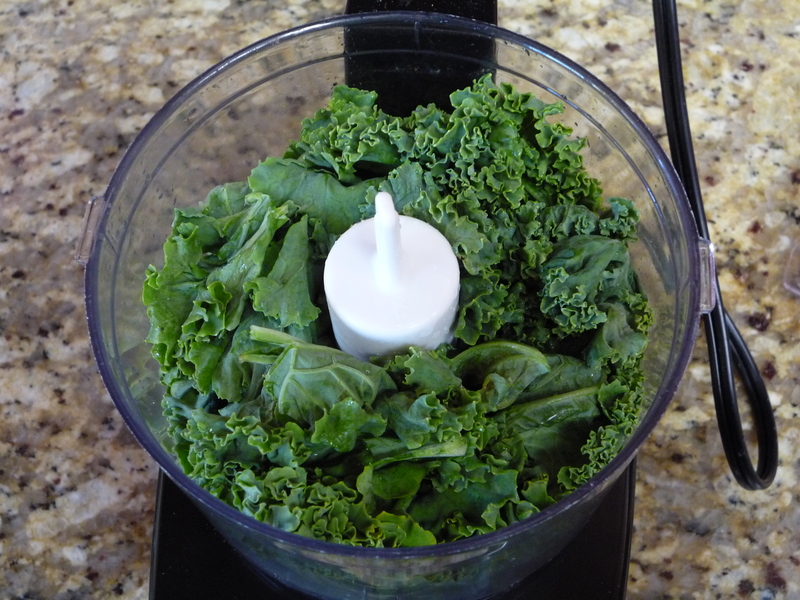 I used my mini chopper for the kale and spinach and then used my immersion blender to mix in everything else. I thought it worked just great! I figure if I can chop up the kale and spinach ahead of time, it would really take NO TIME to make this. I think momma found her new power breakfast for the fall! As always if you want the recipe, BUY JOY’S AWESOME BOOK! My GeekLink this week is from The Mary Sue. They posted My Dream Cast For A Star Trek The Next Generation Reboot last week and it is completely AMAZING!!! I don’t have issue with anyone and in fact I think Q and Captain Picard choices are inspired and my absolute FAVORITES!!! Posted in Breakfast, Family, Food, Parenting, Television and tagged banana, Joy the Baker, Kale, peanut butter, Smoothie, Spinach. Bookmark the permalink.